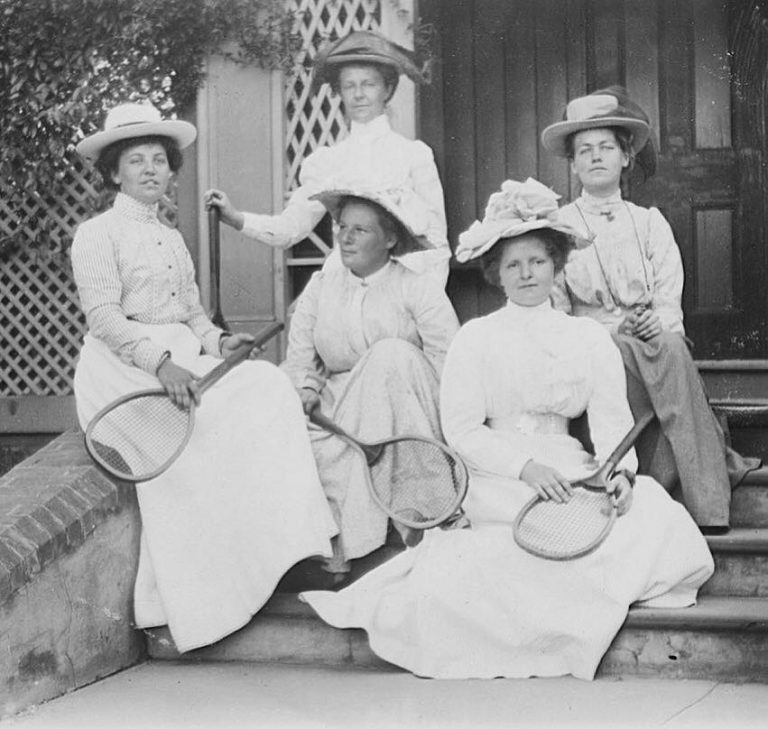 Slums and Socialites: East Terrace’s extremes | Adelaide Tours | Discover Adelaide's secrets, mysteries and treasures with our guided adventures. You might like our East Terrace Promenade walk! Our understanding of the Victorian era is often shaped by two extremes: the refined wealth of the aristocracy, and the harsh Dickensian squalor of the poor and working class who toiled at the coalface of the Industrial Revolution. A stroll down East Terrace reveals both sides of life in 1800s Adelaide. 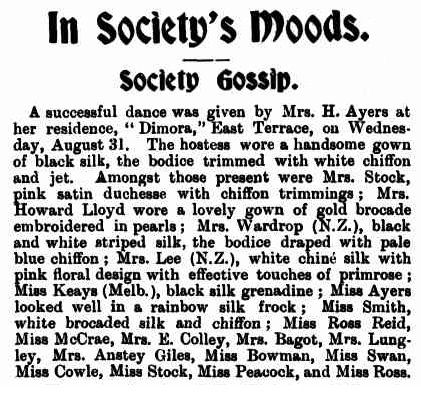 Life was good if you were lucky enough to join the social set that hovered around the stately homes of East Terrace. Names like Dimora, Eothen, Cartref, Ochiltree and Weeroni were all synonymous with grand displays of wealth and influence, and housed some of Adelaide’s richest families and high-flyers. Unless you happen to get a whiff of the industrial runoff from the working class area up the road, that is. The red brick façade of the former Adelaide Fruit & Produce Exchange might evoke a bustling market atmosphere, but for many years the East End was a gritty, loud and dangerous place to live and work. Where now exists apartments, cafes and hip bars once stood Peacock & Son’s tannery and W.H. Burford & Son’s soap factory, two Victorian industries united by the particularly pungent nature of their processes and by-products. It could also be an explosive mix, with the soap factory burning to the ground in 1885. 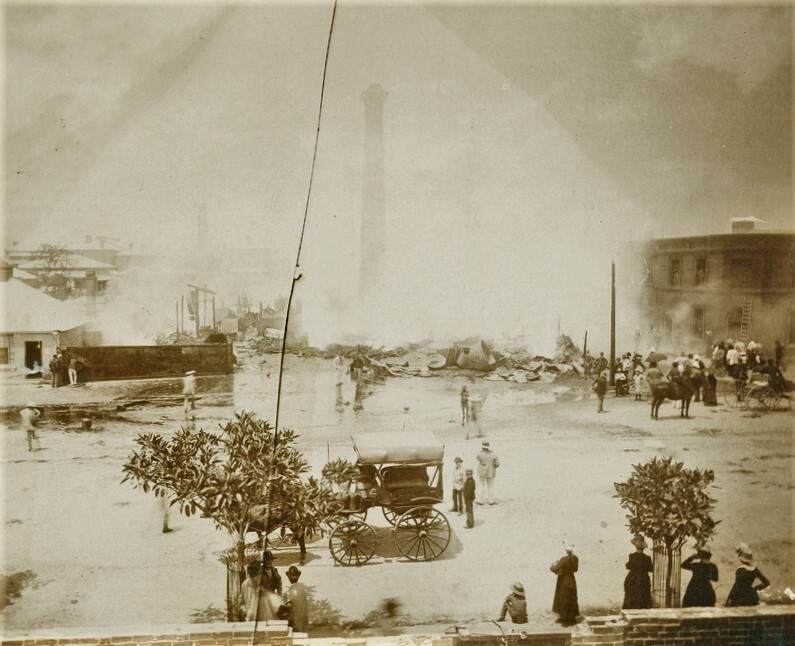 A minor sensation, the blaze unleashed “a perfect sea of fire” as flaming tallow and resin spilled out across the street, resembling a “pillar of fire by night” that could be seen towards Port Adelaide. It hardly sounds like a pleasant place to live and raise a family, and yet many workers occupied dwellings right in the heart of these combustible industrial areas, including a string of houses (“the Rookery”) initially built by Peacock that were partially excavated during the area’s 1990s redevelopment. Archaeologists unearthed domestic household items and even musical instruments, glimpses of a vibrant life amongst the tannery runoff. But it wasn’t always a particularly pleasant one, and as Adelaide modernised they were one of many buildings to be singled out as part of a rising number of dilapidated dwellings – dubbed the “back slums of Adelaide” by one 1889 newspaper report – targeted by authorities. One of Peacock’s buildings was criticized for being “old and damp” with “back rooms nearly two feet below the badly drained back yards”, and a verandah that “appeared to be very unsafe, and looked as though it would fall upon passers-by in the first high wind”. 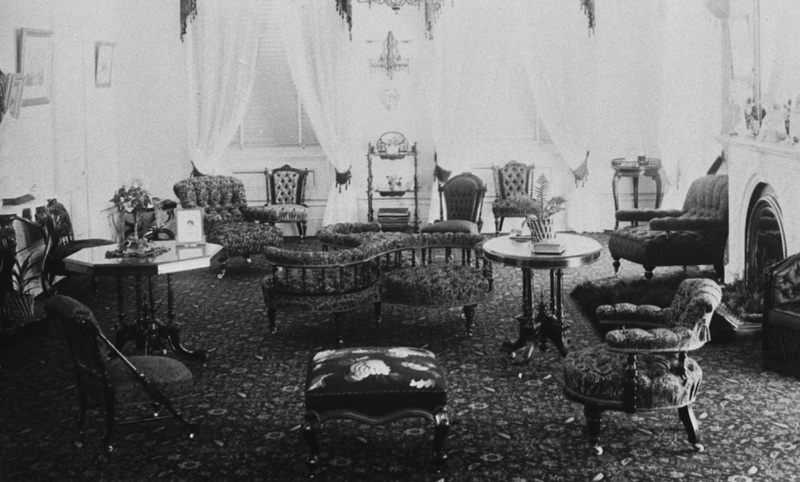 From wall-to-wall silk and chiffon to old and damp walls, East Terrace had it all!